Mizzou alumni and faculty have a lot in common: an interest in education, a passion for Mizzou and a quest for excellence. Since 1968, the Mizzou Alumni Association has been recognizing the excellence of faculty and alumni with the Faculty-Alumni Awards. This year the Association is honoring 12 individuals with the award, including two alumni of the College of Agriculture, Food and Natural Resources, and one faculty member. Glenn Blumhorst, CAFNR Alumni, and recipient of the 2018 Faculty-Alumni Awards. CAFNR alumni Glenn A. Blumhorst and Debra Parker Oliver are being recognized for accomplishments in their professional life as well as their service to MU. Sandy Rikoon, Dean of the College of Human Environmental Sciences and Curators Distinguished Teaching Professor of rural sociology is being recognized for his work as a teacher, researcher and administrator. Blumhorst holds a Master of Public Administration and a Bachelor of Science in Agriculture from the University of Missouri. Blumhorst is the President and CEO of the National Peace Corps Association (NPCA). 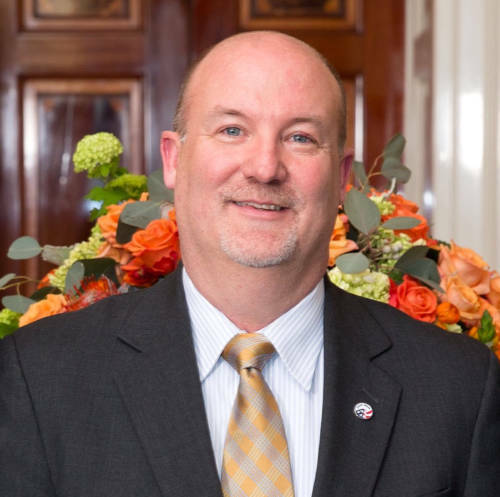 During his five years as president of NPCA, he has led the organization down a new path by changing the organization from a dues-based alumni association to a community-driven social impact organization. Before joining NPCA, Blumhorst spent 18 years with a non-profit organization, ACDI/VOCA, as a managing director. ACDI/VOCA is an organization rooted in economic development that fosters economic growth, raises living standards and creates lively communities. Blumhorst has also served as a country representative and Chief of Party on several major USAID-funded projects throughout Central and South America. His work has brought him to over 65 countries and facilitated his Spanish language fluency. 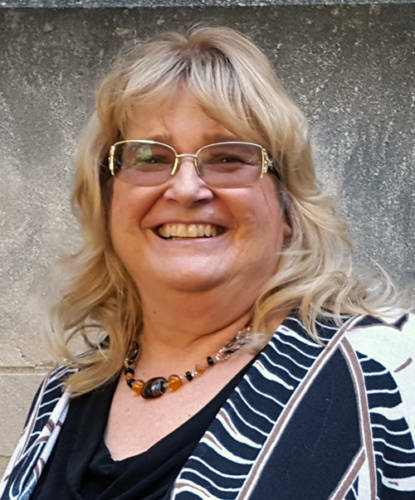 Debra Parker Oliver, CAFNR Alumni, and recipient of a 2018 Faculty-Alumni Award. He started his career by working as a Peace Corps Volunteer in Guatemala from 1988 to 1991, with his wife Catherine. The Blumhorsts encourage students to learn more about Peace Corps options through the Peace Corps Prep Program. This undergraduate program provides students with courses to prepare for volunteer service in international development. Debra Parker Oliver is known internationally for her research in hospice and palliative care. She worked as a hospice social worker and administrator in three hospice programs for more than 20 years. She received a Master of Social Work from MU in 1985 and doctorate in rural sociology in 2000. After getting her doctorate, she worked to improve hospice through research and teaching. Oliver’s research and teaching took a personal turn when her husband, David, was diagnosed with Stage IV cancer in 2011. Together, they decided to share the experience with medical students, health care providers and the public by creating 28 YouTube videos. She has presented her story to the American Academy of Hospice and Palliative Medicine, the National Hospice and Palliative Care Organization and the National Academy of Medicine workgroup on Serious Illness. Her memoir will be published in January 2019. Sandy Rikoon is a well-known researcher and educator with a focus in food security, political ecology and environment sociology. After receiving his doctorate in ethnography and American studies from Indiana University in 1986, Rikoon joined the faculty at MU in 1987 in the Department of Rural Sociology within CAFNR. He served as the associate dean for research and graduate studies in the College of Human and Environmental Sciences for six years and now serves as Dean of the college. Dr. Sandy Rikoon, Dean of the College of Human Environmental Sciences and CAFNR professor of rural sociology, is honored with the 2018 Faculty-Alumni Award. Rikoon established the Interdisciplinary Center for Food Security in 2004. This was the first university venture that combined research, training and outreach in the field of food security. He is still serving as its director. Rikoon is passionate about sharing with others the complexity of hunger and food insecurity and its causes and consequences. He has co-authored four editions of the Missouri Hunger Atlas, which outlines the degree of food insecurity in Missouri counties. The Atlas also evaluates the performance of programs created to help people with hunger issues. Rikoon has edited or authored six books and more than 130 journal articles and other publications. 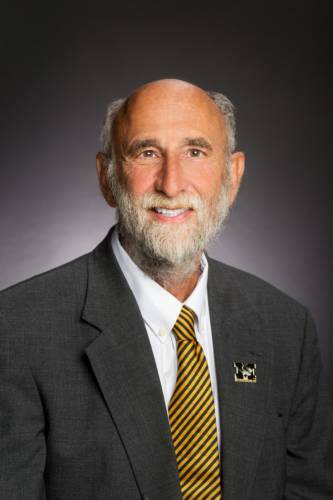 Rikoon has been recognized for his work with several awards and fellowships, including the Southeastern Conferences Academic Leadership Development Fellowship (2013); the Vice Chancellor’s Award of Distinguished Faculty in CAFNR (2012); and the William T. Kemper Fellowship for Teaching Excellence (2002). The 2018 Faculty-Alumni Awards will be presented on Nov. 9 on the Mizzou campus. Photographs courtesy of the Mizzou Alumni Association.